As a homeschool mom juggling five kids, school, home, and community activities, I struggled keeping everything in one place. I had a planner for homeschooling, sticky notes for chores, a wall calendar with activities, and the back of an envelope for shopping lists. I needed a little consolidation help. 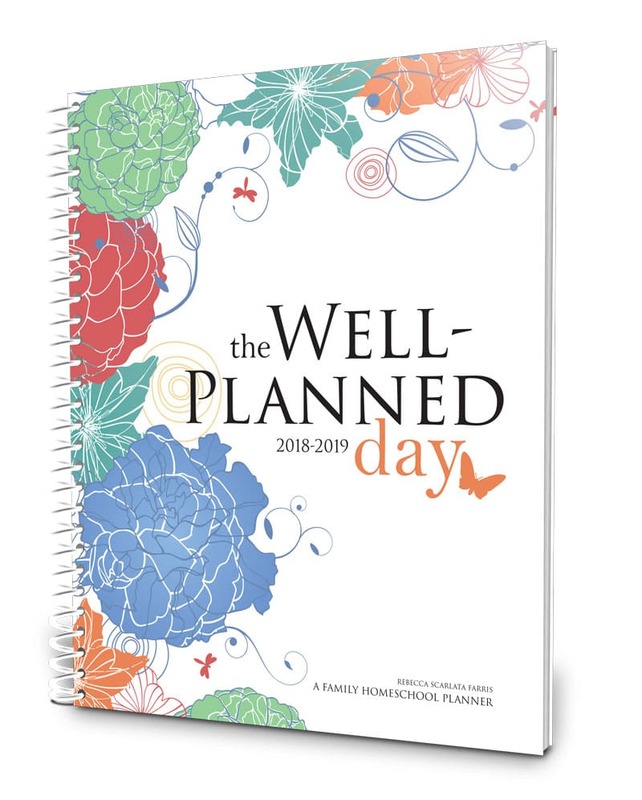 I created the Well Planned Day Family Homeschool Planner over ten years ago as my go-to planner that kept everything in one book and had shopping lists! 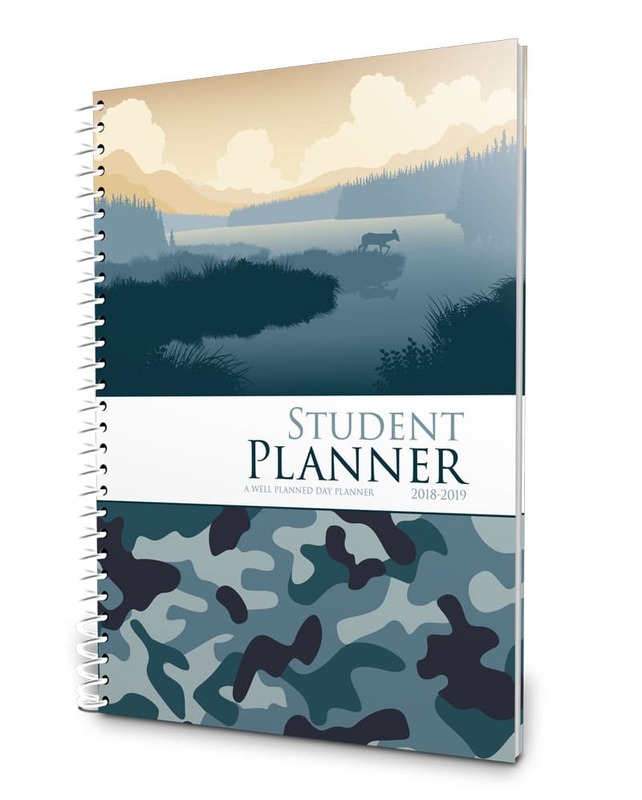 As my kids grew, I saw the need for student planners that also kept everything in one place like assignments, chores, daily routine, and practices. 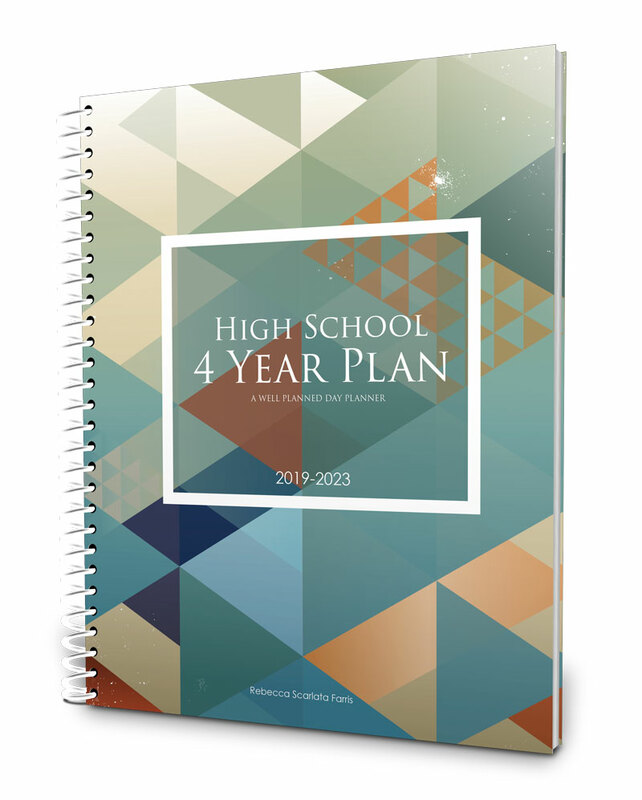 As my homeschooling journey continued, I developed the High School 4 Year Plan, a high school planner, and then a college planner. 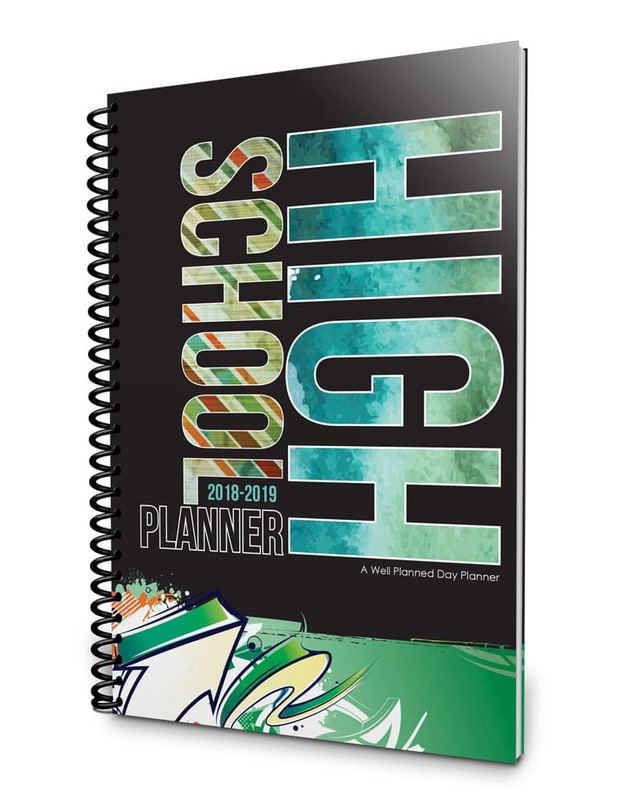 With the kids using their own planners during the high school years, I finally created a planner based on my original concept, but without the homeschooling features. The On The Go purse size planner is my brain on paper. 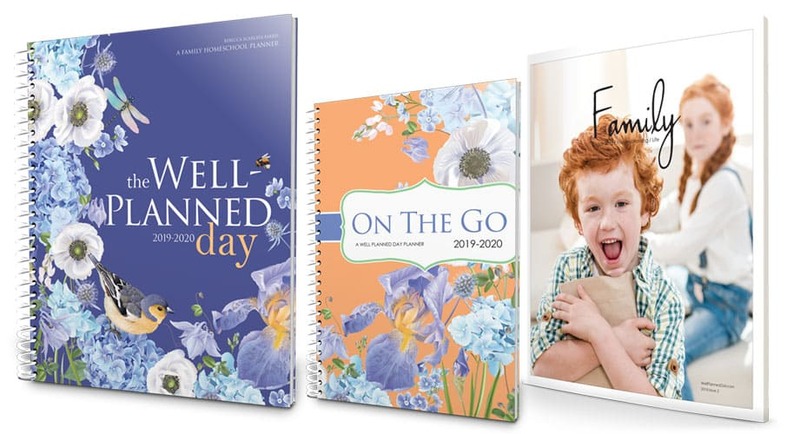 We all have different families and needs, so I've created different planners along with different styles to help your family get more accomplished through planning each day. 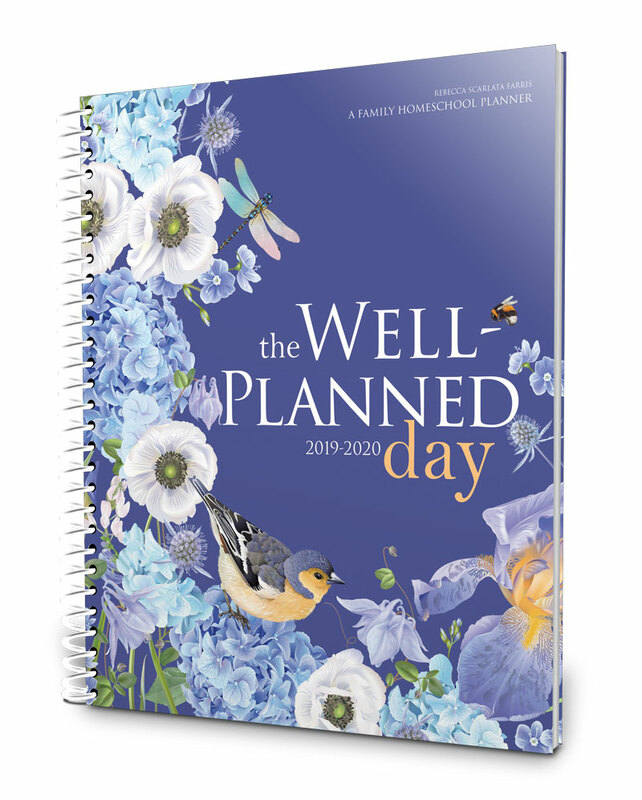 Find encouragement on this homeschool journey and save money when you purchase one of our Well Planned Day bundles! Each bundle is created to meet a specific need. 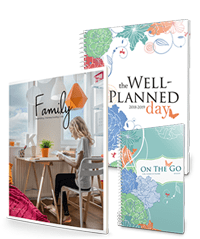 Keep home and school or daily prayer organized and the family well informed with the Homeschool Mom and Prayerful Mom bundles. Choose one of the Teacher Student bundles to help you teach time management skills to your middle schooler. Or balance your own management of home and on-the-go life with either of the Busy Mom bundles. When you select the bundle that best matches your family's unique needs and circumstances, you'll also receive a one-year subscription to Family Magazine. In each issue, you'll find encouragement for parenting, marriage, and homeschooling from fellows moms who truly understand this journey you're walking. Practical tips and resources make Family Magazine the perfect companion to your planners. So, choose your bundle today! 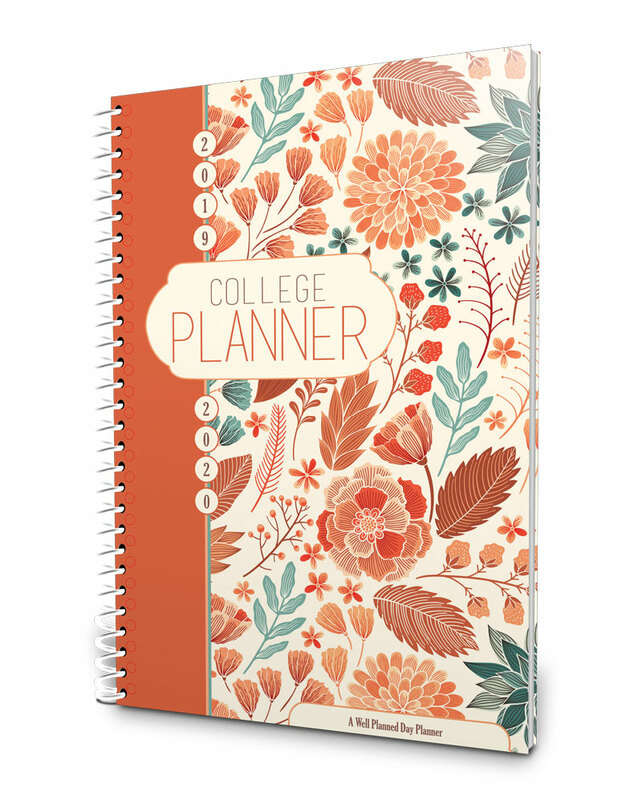 This planner keeps everything for a homeschool mom in one place. Plan dinner menus, organize school assignments for up to 4 kids, schedules chores, and maintain the family calendar. 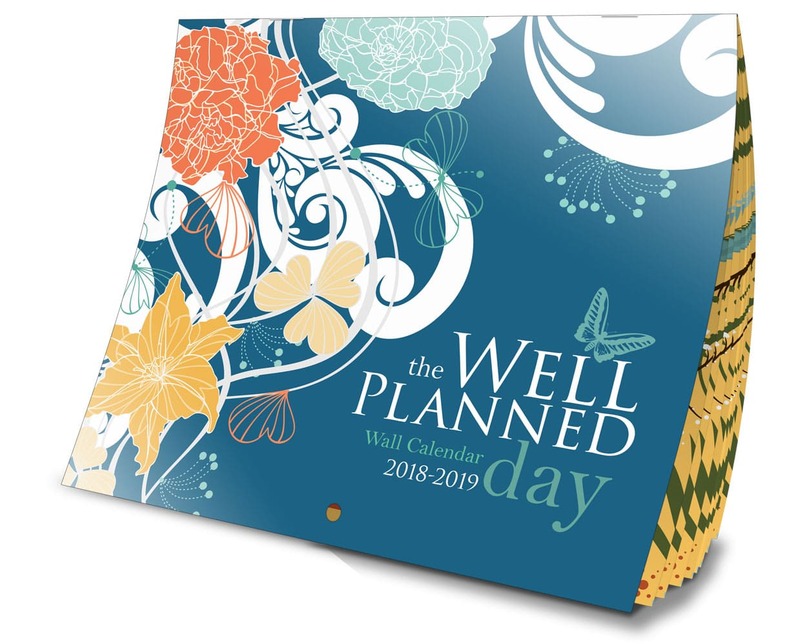 A beautifully designed, fully dated 12 month planner for July 1, 2019 - June 30, 2020. For any gal who juggles daily task lists, appointments, dinner, and errands. 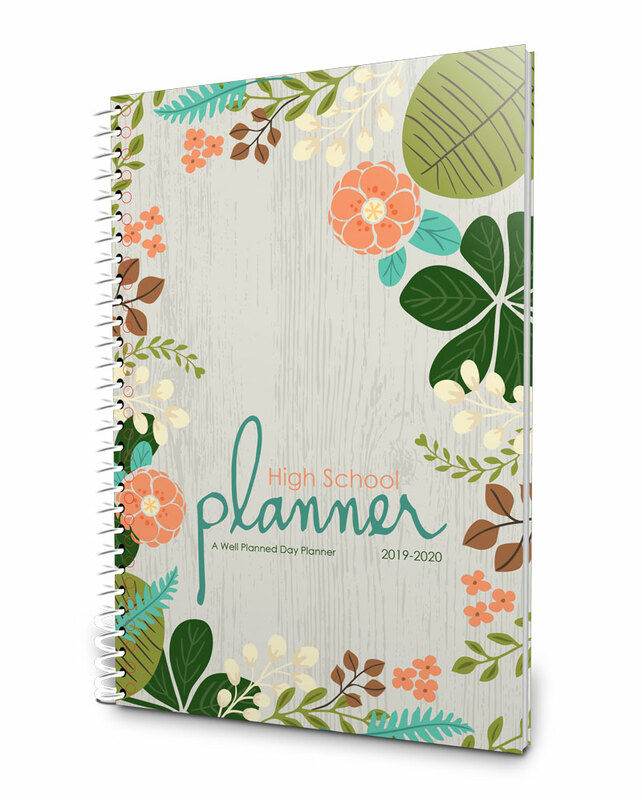 This planner keeps busy moms on schedule and has space for money management, special projects, and plenty of note space! 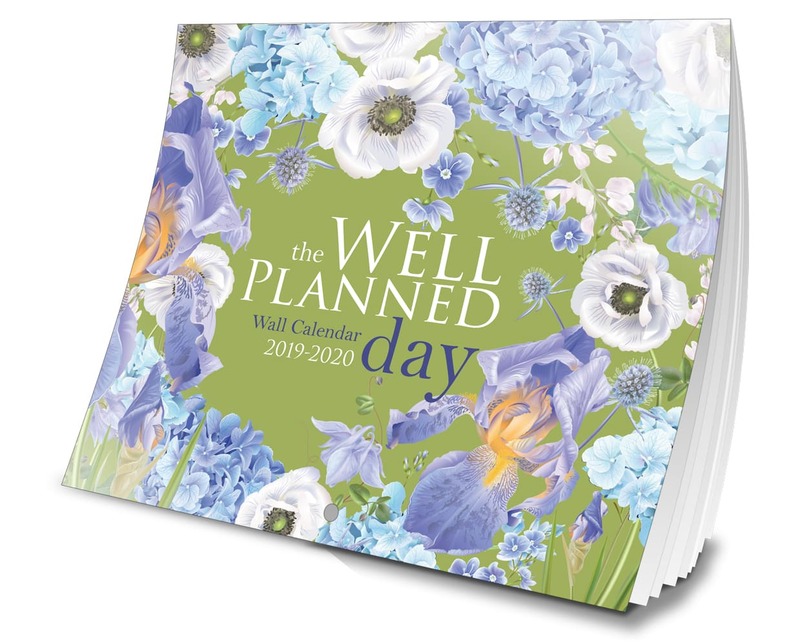 A gorgeous purse size planner fully dated July 1, 2019 - June 30, 2020. 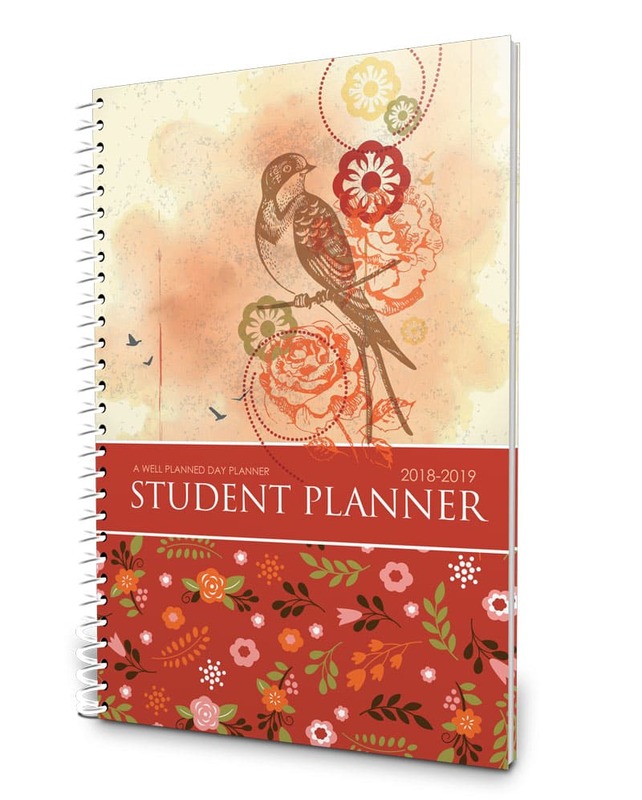 Encourage independent learning with a student planner. 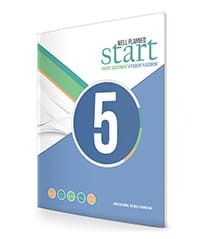 Complete planning system with areas for daily routine, chores, school assignments, and practices. 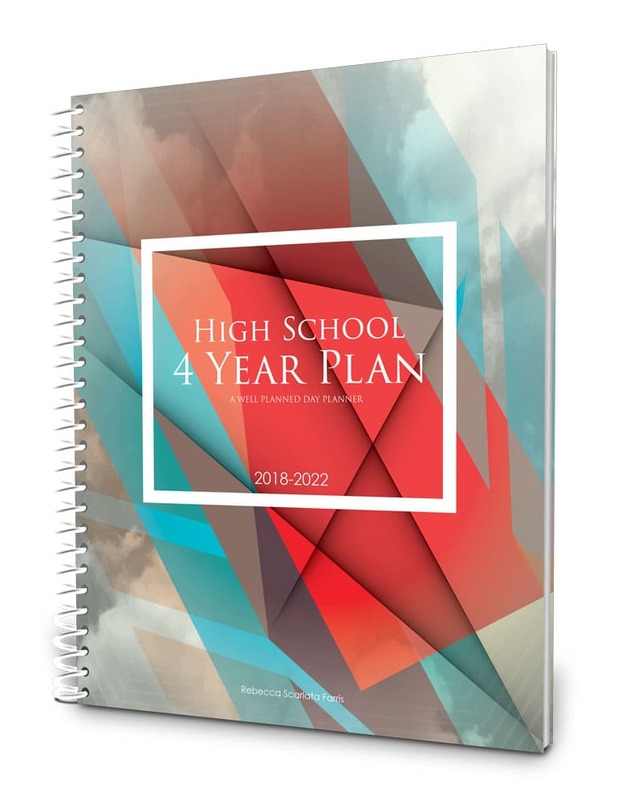 Specifically designed to help students achieve more during their high school years, including high school guidance and time management. 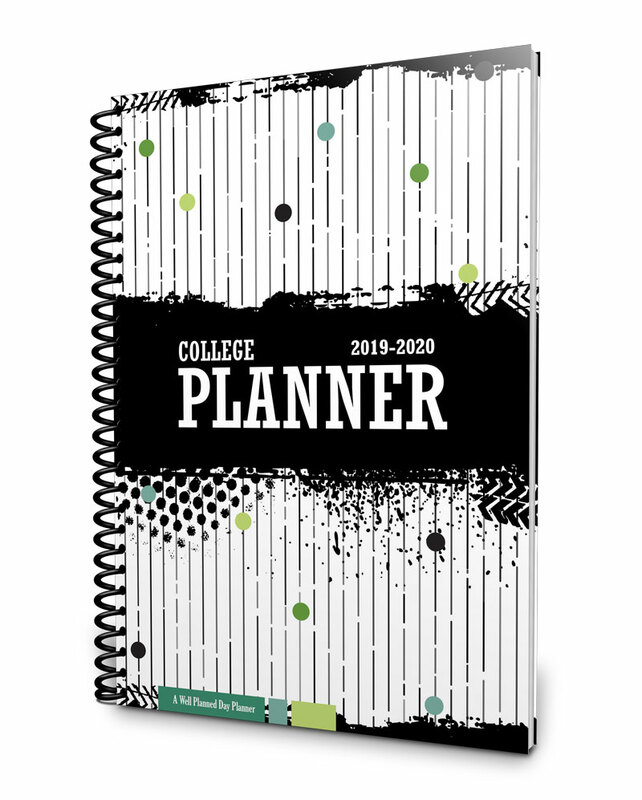 For students in 9th - 12th grade, this planner is dated July 1, 2019 - June 30, 2020. 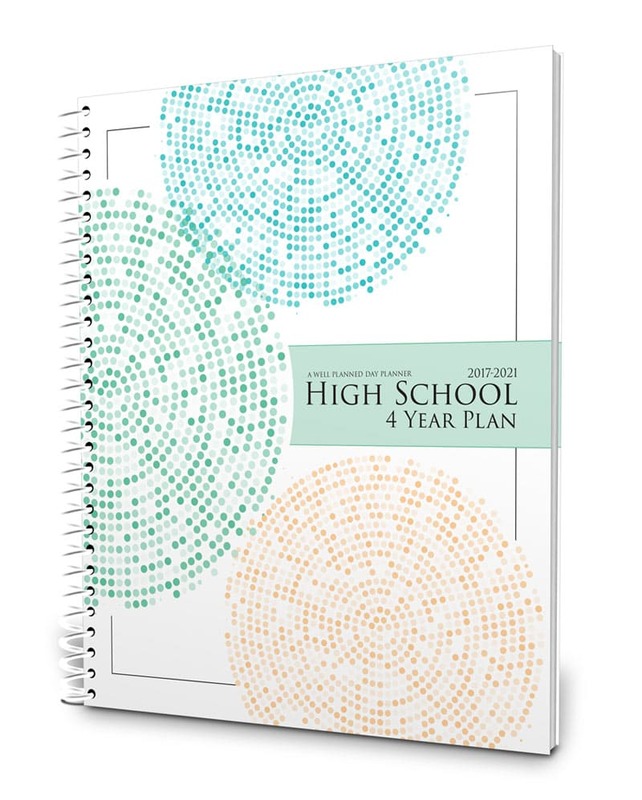 The systematic approach to planning and scheduling helps students transition to becoming an organized and productive adult. 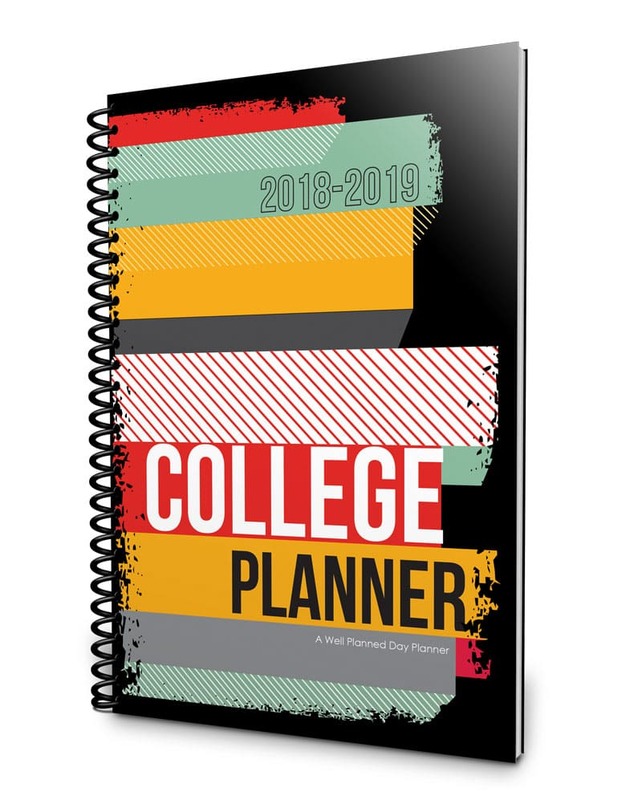 For young adults in high education, this planner is dated July 1, 2019 - June 30, 2020. 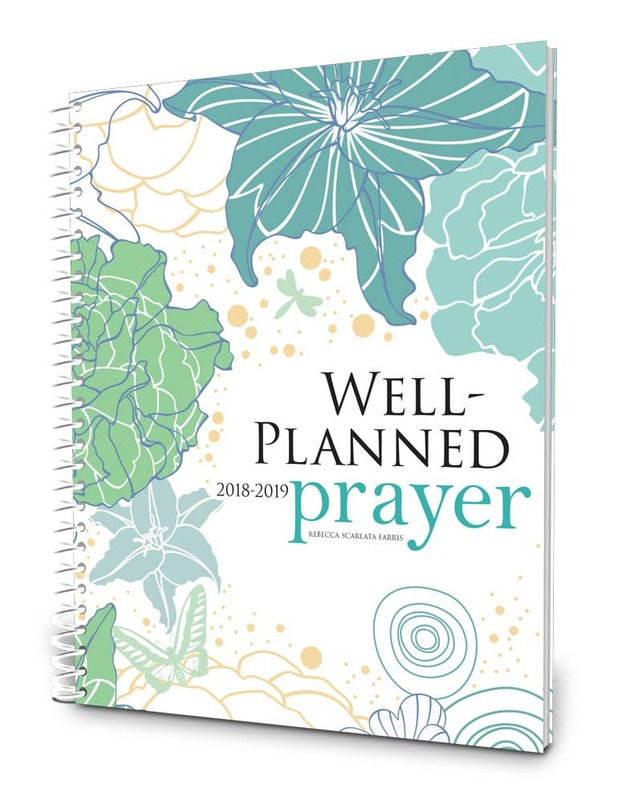 Plan meals each week, maintain daily to-do lists, schedule appointments, journal prayer requests, find encouragement, and more. 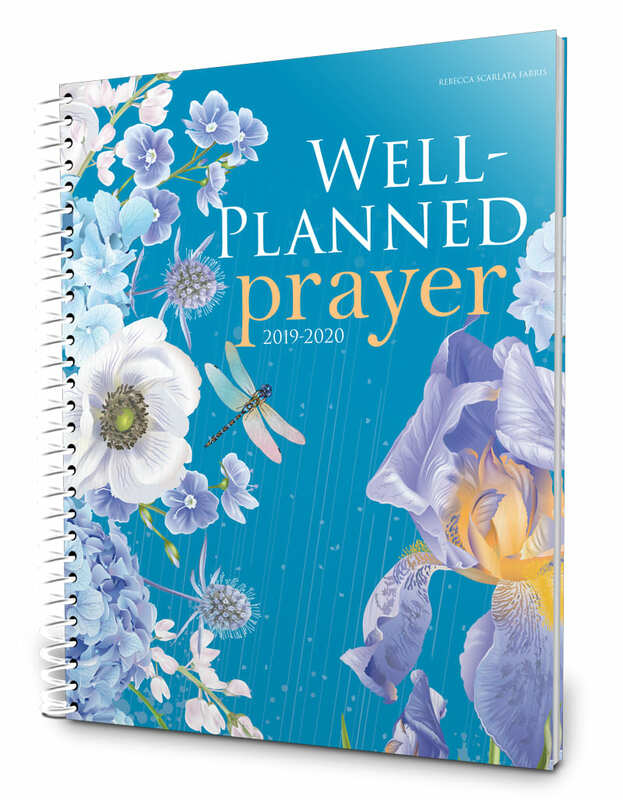 For women of all ages, this planner is dated July 1, 2019 - June 30, 2020. Utilizing a large and spacious monthly layout, there is plenty of room to keep track of family appointments, activities, and special events. 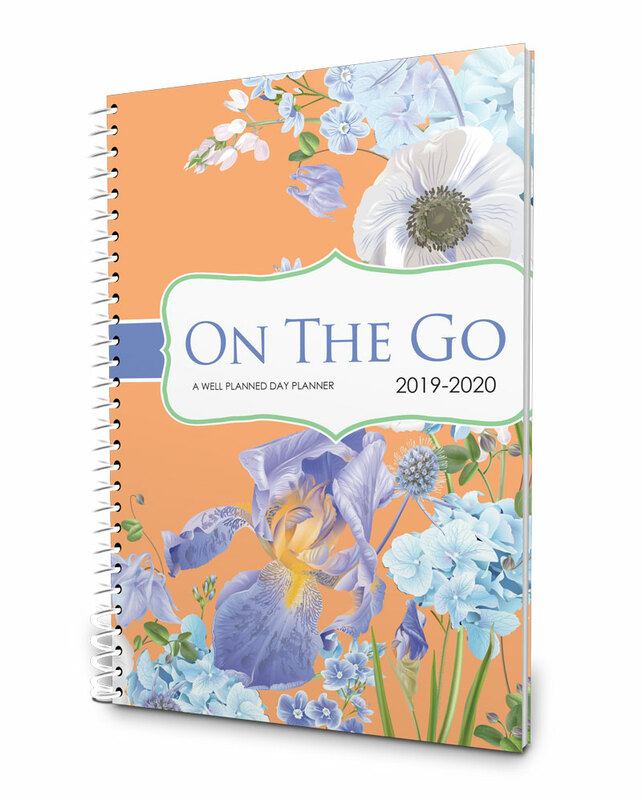 For families of all sizes, this planner is dated July 1, 2019 - June 30, 2020. Parents and students can navigate through 4 years of high school and prepare for the future all in one place. 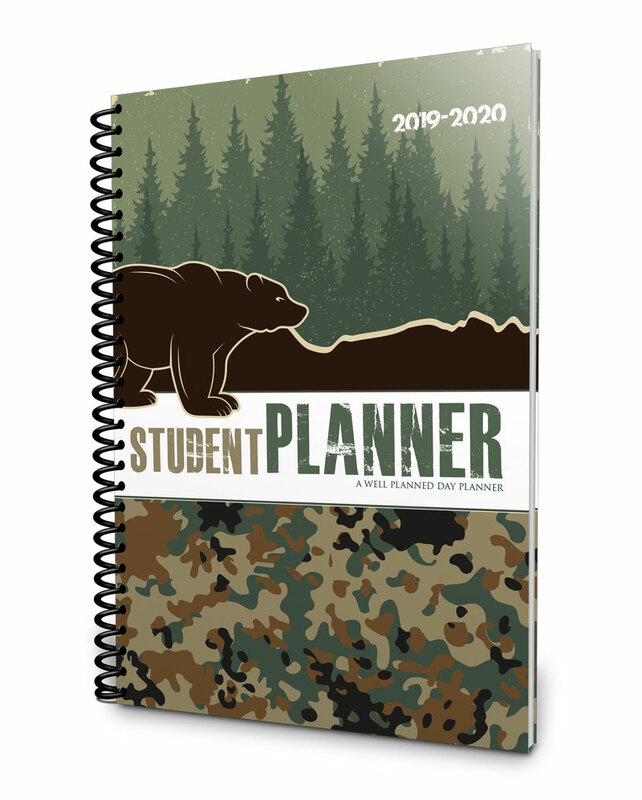 For the freshman starting high school in the 2019-2020 school year, this planner is dated July 1, 2019 - June 30, 2023. 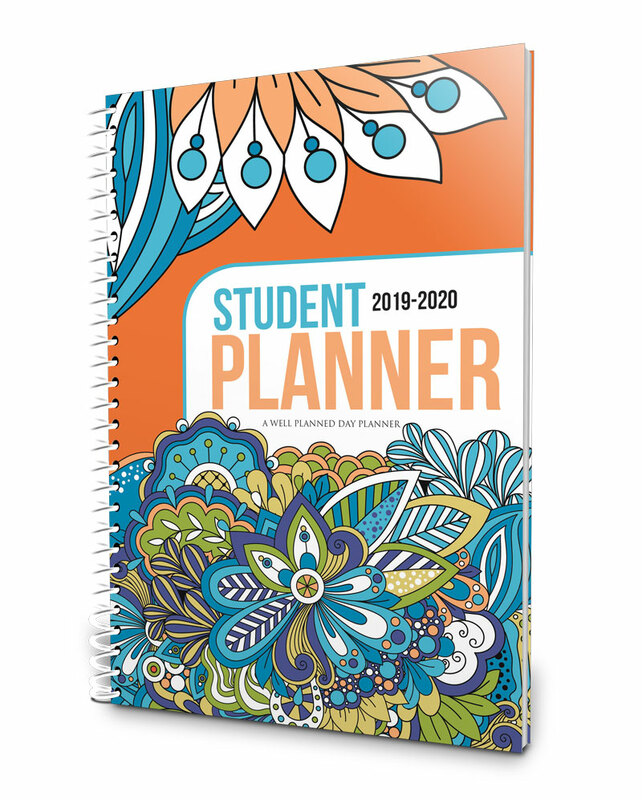 For the sophomore who started high school in the 2018-2019 school year, this planner is dated July 1, 2018 - June 30, 2022. It's never too late to start planning! If you're new to Well Planned Day, with these big savings, it's a great time to try them out. 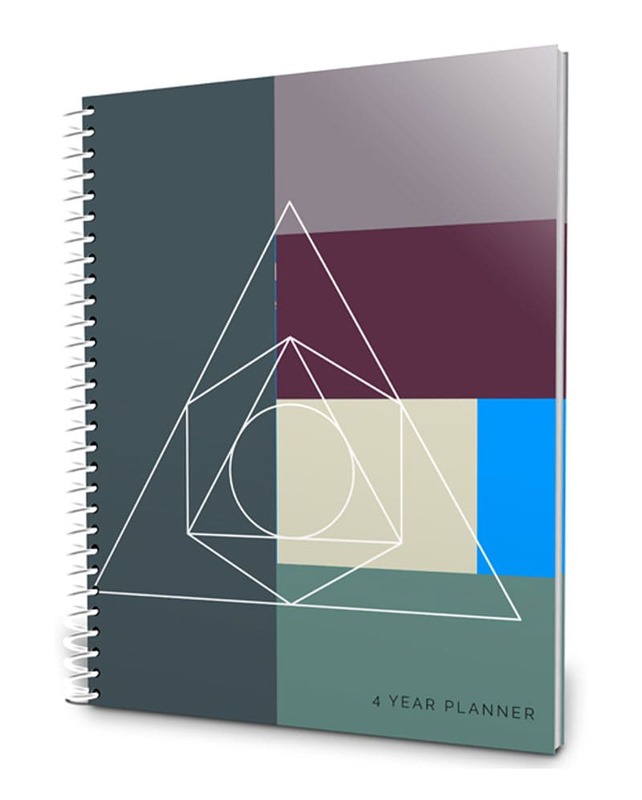 A homeshool planner for home management and lesson planning for up to 4 kids. 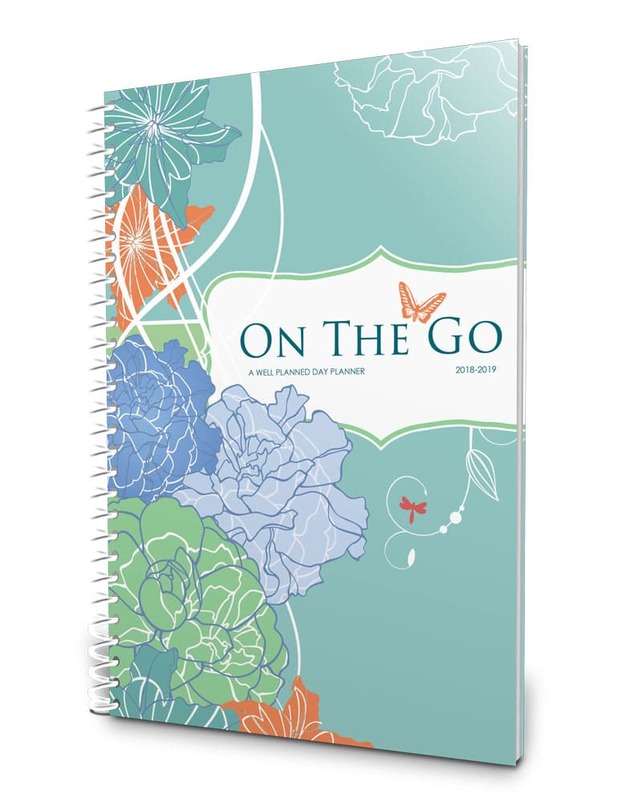 This planner helps busy moms stay organized and prayer focused. 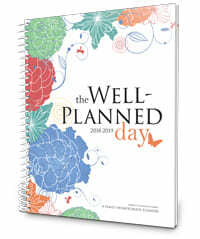 The purse-size busy mom planner for schedules, appintments, and meals! 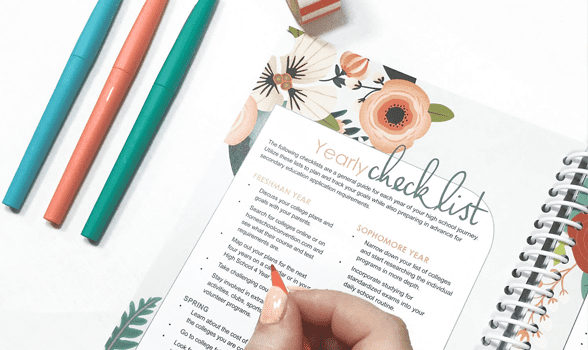 This planner helps students learn independently and practice time management. 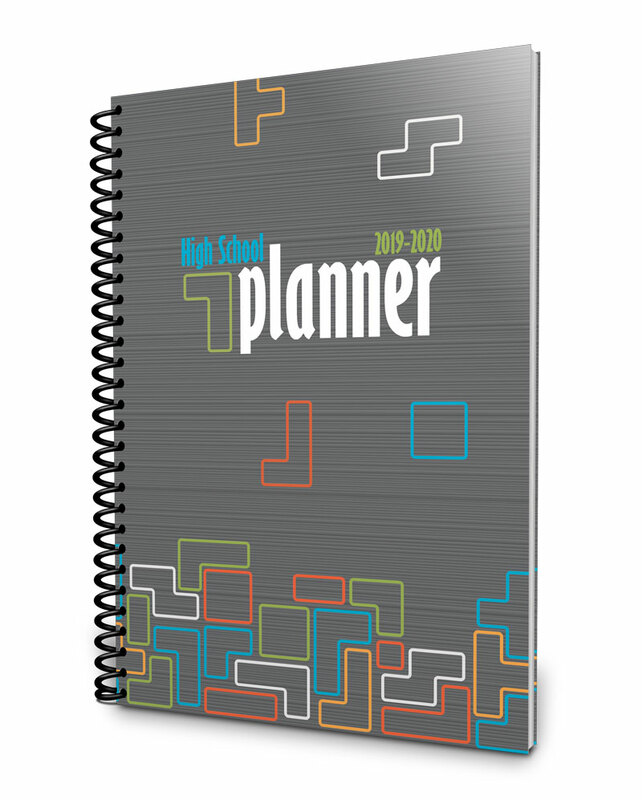 Designed with high school guidance through-out, this planner keeps high schoolers on track. Helping students transition into organized and productive young adults! Large format family calendar has sample writing room for the busiest of families. For the junior who started high school in the 2017-2018 school year, create a portfolio with each year's credits, grades, and activities. For the senior who started high school in the 2016-2017 school year, create a portfolio with each year's credits, grades, and activities.